Potions definitely have a flavor. When attempting to identify a potion – in Pathfinder at least – you have to take a little taste of it. 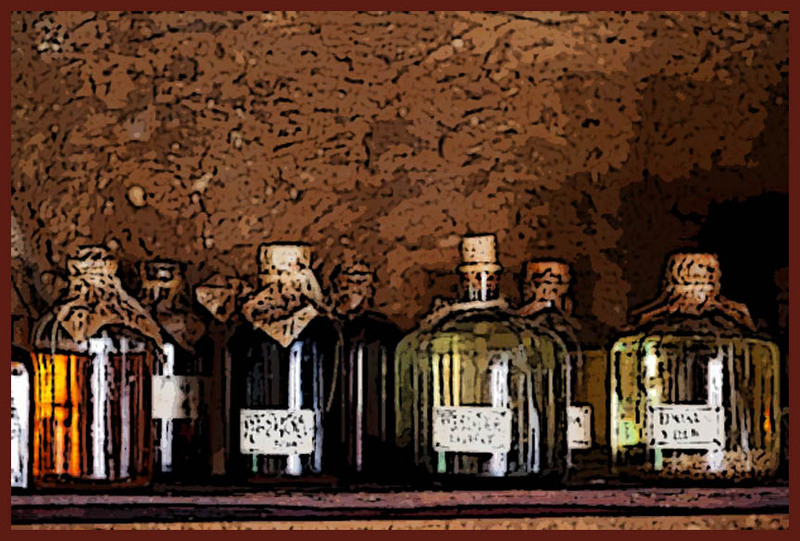 Different potions will have differing flavors and that healing potion won’t taste the same as a portion of barkskin. I would imagine that something like a portion of healing might taste a little like kids cough syrup, and describing this to your players will help immerse them more deeply into your world. Although the ability to determine what a potion is by tasting a bit suggests that all of the same types of potions taste alike, I’m not sure I’d like it if that were true. It might be interesting if the more scientific minded alchemists’ healing potions tasted like chalky medicine while the motherly witch has healing salves that taste like chicken soup. Making the flavors dependent on the one who brews the potions could add an interesting twist to identifying them. Tasting something isn’t always about flavor either. Texture plays a big part in how we consume food. The aforementioned barkskin potion my feel like moss on your tongue while having a woody taste. A potion of haste might slide across your tongue and down your throat. And a potion of slow might feel like molasses and stick to the sides of your mouth. Adding little things like the flavor and texture of potions can honestly be the difference between a memorable game and just a good one. What do you think potions taste like? Do the common ones like cure potions all taste the same? What is the flavor of a love potion? Today we brewed up another bit of flavor for your games here at the CRB. If you’d like to throw some ingredients in the cauldron, please consider becoming a contributor. Monthly donations of as little as one dollar can be made to my Patreon. A one-time donation can easily be made to my Paypal. Every bit helps me keep the lights on so I can concentrate on bringing you the content you deserve.